Meet Blaire Wilson! She's a creative girl with bold ideas and a big heart. Get to know American Girl's 2019 Girl of the year, Blaire, in this first book in her series! Chef. Decorator. Chicken wrangler. Blaire does it all at her family's restaurant, inn, and farm. Her recent food sensitivity has made her time in the kitchen -- and time with friends -- a little tough. But now she's got the perfect distraction -- a wedding to plan! With her BFF by her side, and a million creative ideas saved on her tablet, Blaire is sure she can make the farm's first wedding an epic celebration. 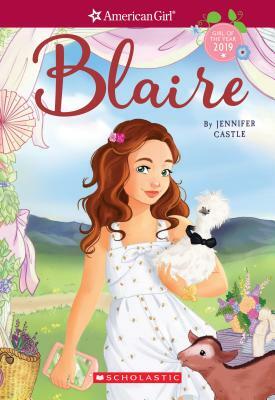 But between dress disasters, texting mix-ups, and more than one incident with a mischievous goat, Blaire soon learns that wedding planning is a tricky business . . . and that balancing friendships is even trickier. Can Blaire find a way to make things right, or will this wedding -- and her friendship -- turn into epic fails?